Flimston Bay is a beautiful little bay along the South Pembrokeshire coastal path. It has amazing slabs of almost vertical rocks. 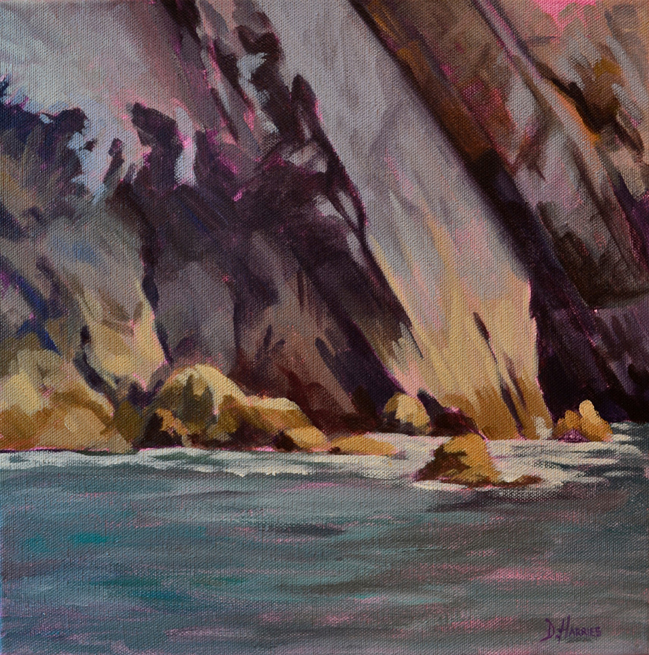 I love to paint this bay, and this particular painting is a small 30x30cm intimate study of a section of the rocks.